You can change the Wi-Fi settings of your Velop system to establish a unique and secure Wi-Fi using the browser-based Linksys Smart Wi-Fi administrative tool. Follow the steps below to learn how to do it. 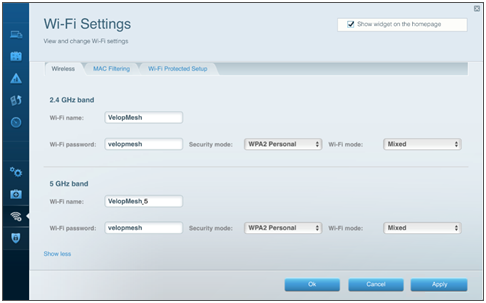 It is recommended to change the node's Wi-Fi settings through the web interface. 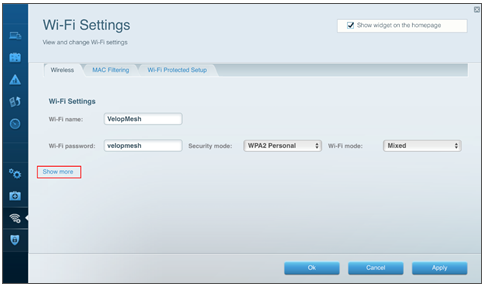 The troubleshooting steps in this article are only applicable to the Linksys Smart Wi-Fi web interface. The Linksys app does not support this configuration. You can access the Velop dashboard through the Linksys app if you want to check your Wi-Fi settings or other router configurations. 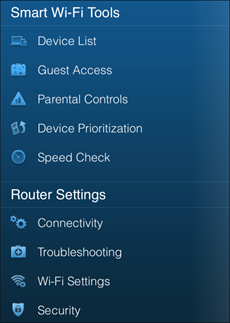 For an overview of the Wi-Fi settings feature on the Linksys app, click here. Log in to the Linksys cloud account linked to your Velop. To learn more, click here. Under Router Settings, click Wi-Fi Settings. You can use the same Wi-Fi settings for both the 2.4 GHz and 5 GHz bands or use different settings for each band. Under Wi-Fi Settings, enter your preferred Wi-Fi name and Wi-Fi password. Then, select your Security mode and Wi-Fi mode. Under Wi-Fi Settings, click Show more. Enter and select your preferred settings for each band. Once you are satisfied with your settings, click the Apply button. When the Using different Wi-Fi names pop-up window appears, click Use different names. 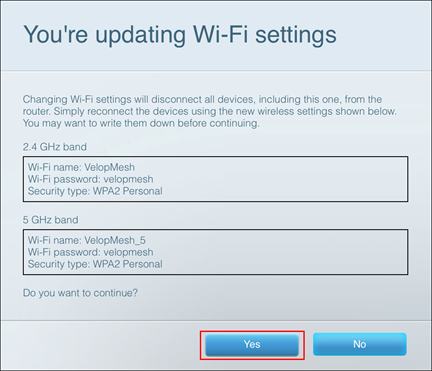 When the You're updating Wi-Fi settings pop-up window appears, click Yes. Your Velop system will restart. All wireless devices will be temporarily disconnected from the internet. When your Velop system is ready, you can reconnect your devices to the node with the new Wi-Fi settings.